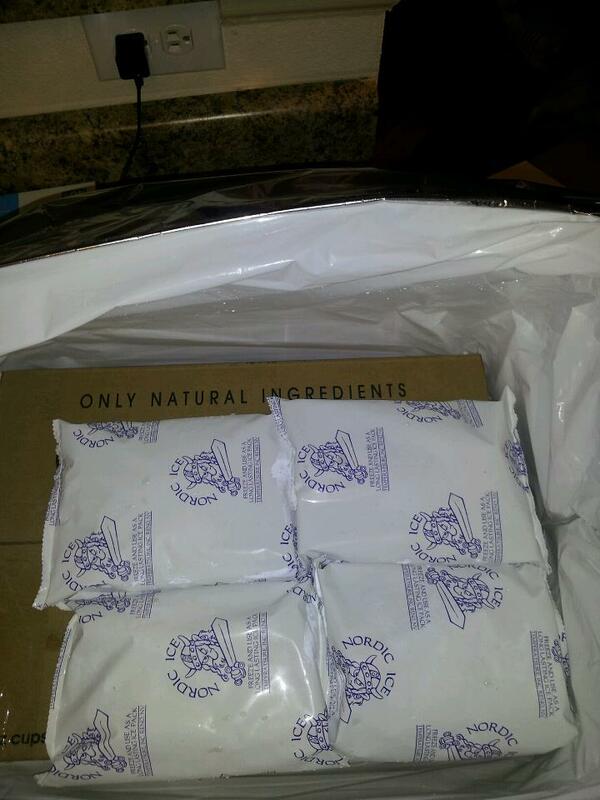 I have only purchased lemon yogurt once before, that I can remember. I did not like it. It was one of the standard brands, and I believe it was a whipped variety. It was super tart and after a couple of spoon fulls I was done. I do have to say though, I was pregnant, so that totally could have had a major effect. None the less I never went back to it. . This morning I decided to try it again. I woke up on the daring side. Finally feeling back to my normal feisty self, so why not go for the Lemon. I figure if I like the Lemon, I will LOVE the rest of the flavors. YUUUUMMMMMMMM!!!!!! Holy cow. 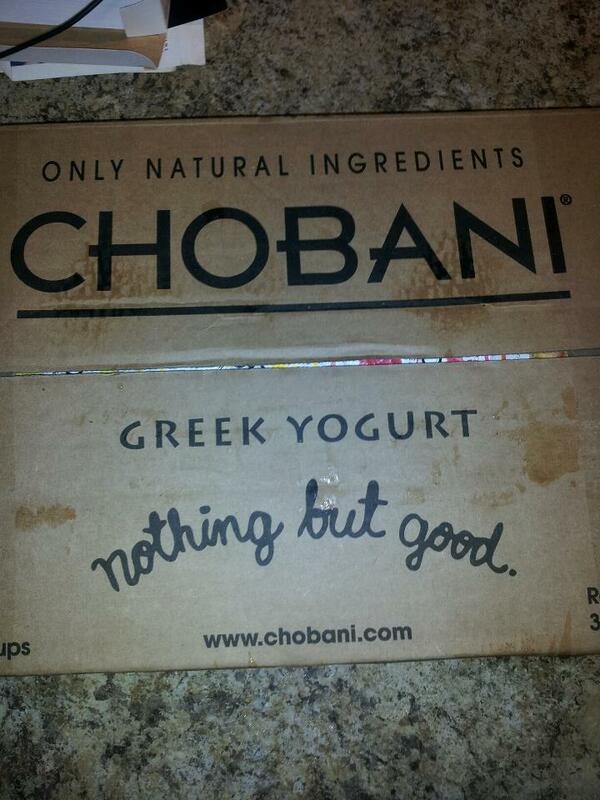 I was expecting your standard overly tart, lemon extract flavor that all other yogurt tend to have. NOPE!! Not what I got here. Seriously so delicious. 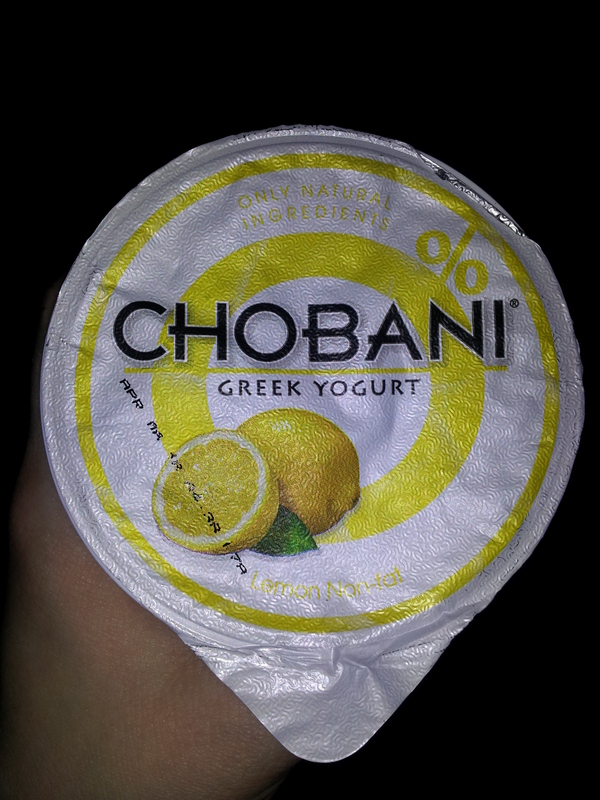 I love that there are actual bits of lemon, and who doesn’t love the smooth texture of greek yogurt. Absolute perfect combo. I couldn’t help but think, when I was devouring the cup(as you can see, I didn’t even pause for another picture besides the one above!!) that this would make a fantastic dip for kale chips. Yep, you read right. Kale chips. My friend Lori over at My Kinda Rain has been raving about them for a while. She makes them as a quick afternoon snack, and I have been wanting to try them out for some time now!! I know that lemon goes really well with cooked kale (zesting or juicing over top) so I was thinking that this would be the perfect refreshing dip for the chips. I am making a grocery store run this weekend, so I will be buying some kale, and another couple of cups of Chobani. 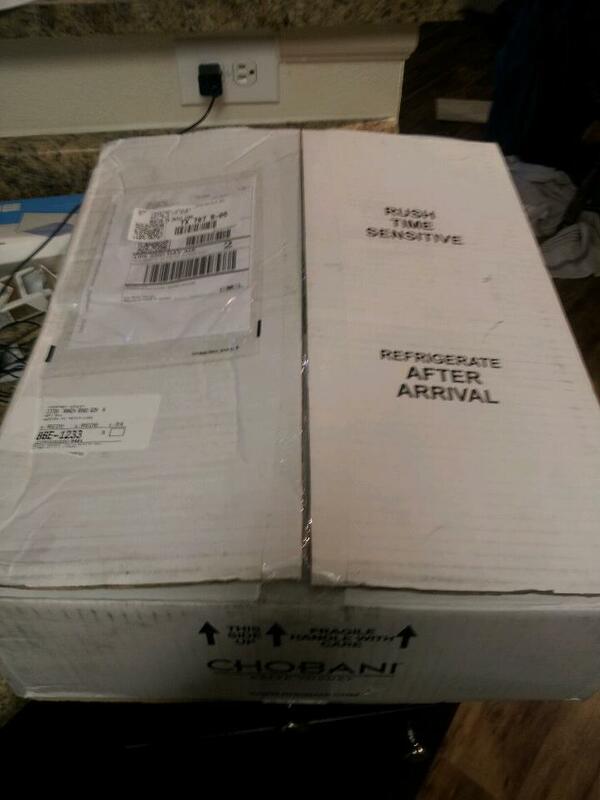 Thanks to the lovely Team Members at Chobani again. I can’t wait to try a new flavor tomorrow morning!! After a week on the couch, feeling like death was coming for me…I AM BACK BABY!! John and I came down with the stomach flu. Horrible in every way. He was sweet enough to catch it from a co-worker, and pass it right on to me. Thank the Lord that Jp didn’t come down with it, or this house would have been a total hot mess. We don’t get sick often, but when we do it seems to be with something that lasts a week or so, and makes you just want to curl up under a rock! 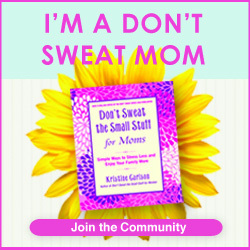 I have been disinfecting every surface, and washing all the linens today in an attempt to rid my home of the germs!! That’s it 2012. You’ve had your sick Courtney for the year. No more illness in this house!! I had an awesome surprise today when the UPS man knocked on my door. 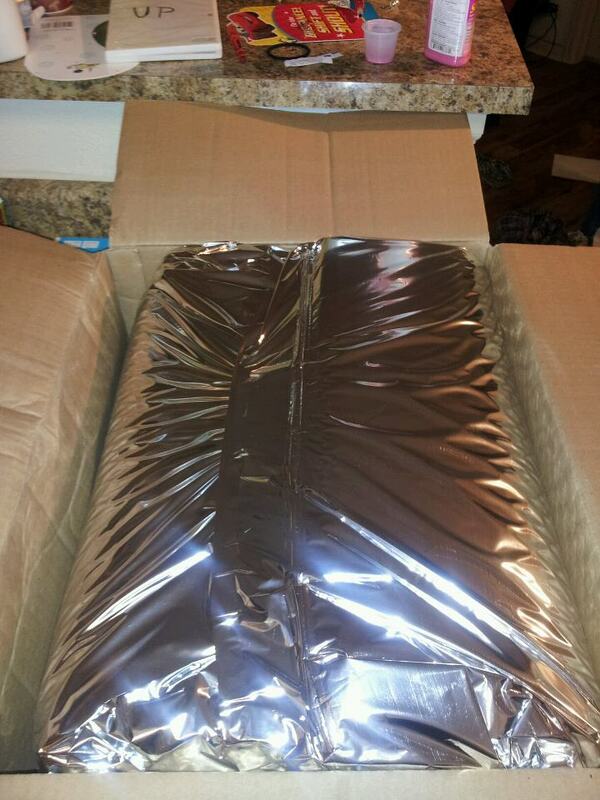 I had completely forgotten that I was expecting a package!! 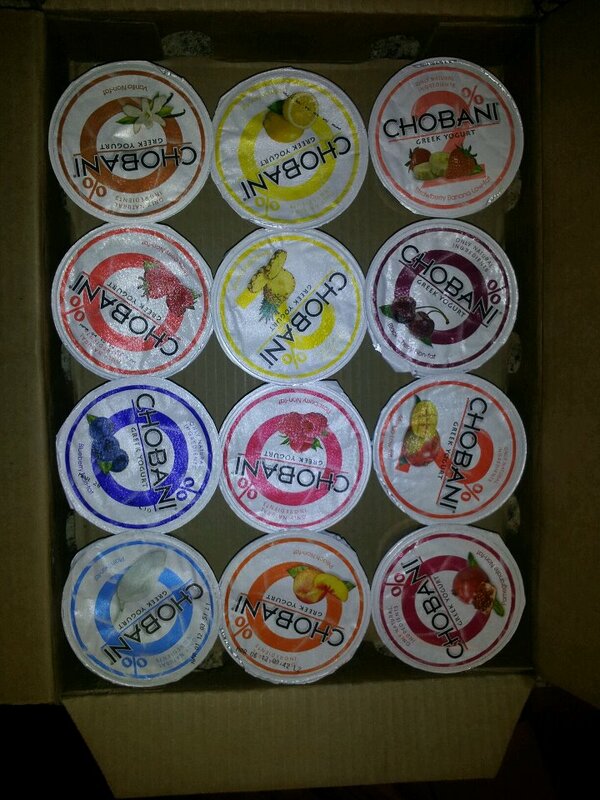 The Team at Chobani sent me 12 different flavors of their AWESOME Greek Yogurt. I am going to be trying each flavor and posting here!! I am super excited to be working with them, and I can’t wait to start my 12 day adventure!! We are glad to be feeling better, and now that we are I am able to catch up on all the housework I have neglected. It’s amazing how quickly the laundry piles up when you are sick. I have been tackling that all day, and am finally down to my last load!! When that’s done I will be one happy momma. As for now, I need to chase down Mr. Stinky Pants and get him in the bathtub. I am hoping for an early night since he only took a 30 minute power nap today!! Oh the joy’s of having a toddler! !